Ernest R. Perron, III, 30, of Johnston, passed away Thursday August 23, 2018 at Rhode Island Hospital. Born in Pawtucket, he was the beloved son of Ernest R. Perron, Jr. and Deanna (Turmel) Perron. Ernie was well known for his infectious smile that could light up any room, He loved everyone as if he had known them for a lifetime. 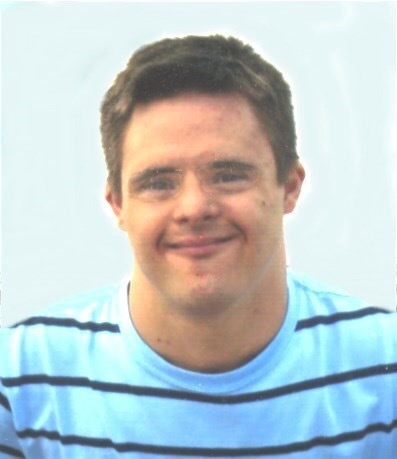 Ernie loved playing video games,going to drum class and spending time working with friends at The Fogarty Center. Most of all he loved his music, weather it be dancing, singing, or just listening, he was known to be the shining star of the family. Besides his parents, he is survived by his brothers, Evan D. Perron and Nicholas M. Perron; his sister, Marisa A. Perron; nephew, Evan D. Perron, Jr.; and niece, Ariana Perron. His funeral will be held Wednesday, August 29, 2018 at 9 a.m. from the Maceroni Funeral Home, 1381 Smith St., North Providence, followed by a Mass of Christian Burial at 10 a.m. in Our Lady of Grace Church, George Waterman Rd., Johnston. Burial will be in Highland Memorial Park, Johnston. Visiting hours are Tuesday 5-8 p.m. In lieu of flowers, donations in Ernest’s memory may be made to The Fogarty Center, 220 Woonasquatucket Ave, North Providence, RI 02911.